Pohnpei, FSM—FSM Supreme Court Associate Justice Beauleen Carl-Worswick has ruled to grant a writ of habeus corpus filed by local attorney Marstella Jack on behalf of Nepalese refugees who had previously been housed on a leaky, rodent and bug infested, ramshackle boat at the Pohnpei port. After lengthy investigation, the UN’s Refugee Agency, the UNHCR determined that of the 17 men who arrived in Yap without documentation in October of 2014, Hari Timsina, Indra Ghimire, Bishnu Tamang, and Khadga Bahadur Thapa were legitimate refugees and began the process of looking for a country that would accept them for resettlement. The 13 other men from Nepal were returned to their home country, but the four who were determined to be legitimate refugees could not be returned to Nepal. Under International customary law and under the standards of human decency, every person has the right to non-refoulement… Non-refoulement is ‘[a] refugees right not to be expelled from one stat to another, esp. to one where his or her life or liberty would be threatened,’” the court quoted from Black’s Law Dictionary. 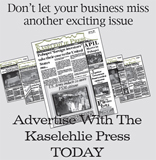 During an interview with The Kaselehlie Press in June, the men each said that they had not known that Jack would be “going against the government” by going to the court. However, according to the Supreme Court ruling, they had earlier testified differently during the hearing on June 7. They testified then that they had verbally authorized Jack to represent them. Their later answers during our interview may have been based on a perceived fear of government retaliation, which their lifelong experience in Nepal may have taught them was a reasonable fear, but which is not practiced in a nation with a democratic legal system. Additionally, FSM National police officers were in hearing distance during the interview which may have served as an unintentional intimidating factor. Marstella Jack represented the men on a pro bono basis because “it needed to be done” she told us after filing the action. The court ruled that Jack had been properly authorized by an oral agreement to represent them. The government had argued that the men were under 24 hour guard both for the men’s own protection and for the protection of the FSM community. However, the ruling said that background checks had been conducted by the US Federal Bureau of Investigation which determined that the refugees were not a national security risk or danger to the public. It is unclear who may have authorized the FBI, which doesn’t have jurisdiction in the FBI, to conduct a background check. Just the same, the ruling also went on to say that the men had also undergone medical examinations and were found to pose no health threat to the community. It said that additionally several local community members had expressed the desire to sponsor the refugees and the UNHCR had provided the funding to ensure that the refugees would not be a burden on the state during their stay. “The refugees have expressed a sincere desire to participate in the cultural life of the community, to move about, to attend church and to visit freely with friends,” the heavily footnoted 20 page ruling says. According to the ruling, the government said during the hearing on June 7 that “there is crime in Palikir, even murder, and confinement to the apartment is necessary for the protection of the Refugees themselves.” As such, the government said they would continue 24 hour confinement in the three bedroom house to which they re-located on the day of the hearing. Jack argued that the Refugees should be without any restrictions whatsoever and that they should be treated the same as any other citizen. “The court is not convinced that no restrictions are necessary, reasonable and proportionate under these circumstances, nor is it convinced that 24 hour security is necessary. Accordingly the court finds that a curfew with regular reporting the appropriate level of restriction,” the ruling said. The court also ruled that the confiscation of communication devices including a tablet computer and a cell phone are “not germane to the protection of the refugees, nor does such property have any health or security implication to the FSM.” It ordered the FSM to give the devices back to the men. “All people, regardless of whether they are a citizen of a state, or of no state at all, have the right to seek asylum in other countries and live free from persecution. In articulating these rights we look to the Constitution of the FSM and to the body of international law which can be found in international custom, general principles, judicial decisions and treaties,” the ruling said. “Accordingly, the court finds that confinement for over two years, without due process, is an extraordinary circumstance and the writ of habeus corpus is granted. “It is hereby ordered that the refugees are released from detention and free to move about subject to the following restrictions which are necessary, reasonable and proportionate for the own safety while here in the FSM”, it said. The court ruled that the men would be subject to a curfew from 7:00 PM to 7:00 AM each day during which they will be confined to their apartment in Palikir but are otherwise free to move about during the daytime hours on their own recognizance. It ruled that the men will be required to report to the government once every two weeks. It ordered the government to promptly file a notice with the court if it becomes necessary to change the residence of the refugees. It ruled that there would be no restriction on visitation during daytime hours but that they could not have overnight guests or visitors during curfew hours.